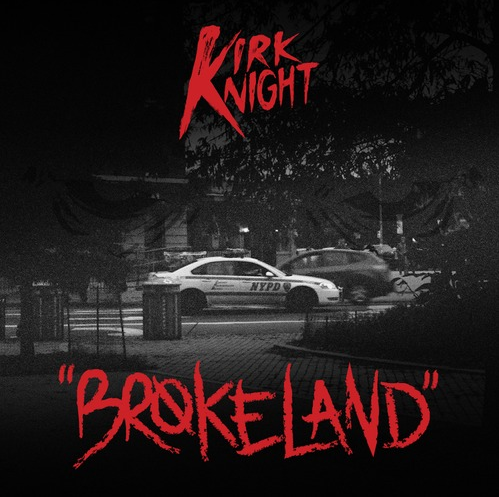 New music from Pro Era's Kirk Knight. Pro Era seems to abide by the Puff Daddy ideology of "can't stop, won't stop", because the collective just keeps dropping new tunes. It hasn't even been a month since the release Joey Bada$$'s debut album and already his Pro Era family, Kirk Knight is hitting us with something new of his own. The self-produced record is called "Brokeland" and features adlibs from Wayne "Heirowayne" Harewood and mixing by Nastee. Sounding like something better fit for the mid-90s, "Brokeland" finds the young MC detailing many of the things you can come across in the mean streets of Brooklyn. Let us know what you think of the new Kirk Knight after checking it out.